The process of determining which home additions you should consider can be stressful. You are going to spend a lot of money, and you will have to put your faith most likely in strangers who will assure you everything will be completed to your total satisfaction. Whether you are putting an addition on your house or are just getting a new furnace, your life will be disrupted for a limited amount of time. When the dust settles and the strangers who have been walking through your house are gone, you will have a home that is hopefully better than it was before you started. It is understandable to be hesitant to put additional money into your home. You cannot be certain you will not relocate in the future, and you want to recoup your investment when you sell. There is never a guarantee you will. 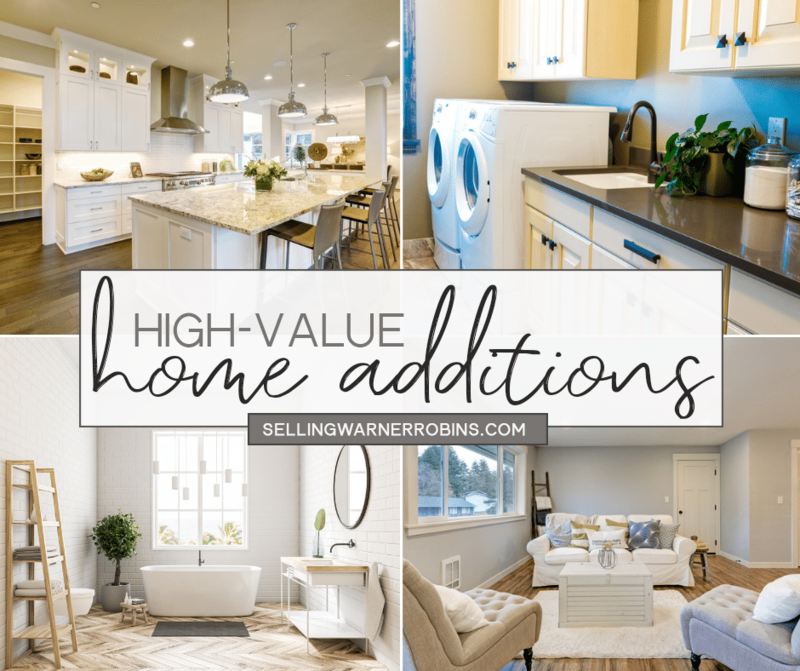 Whether you are investing in your home for resale or are just making improvements for yourself, there are some wise upgrades and remodels that are worth your time and resources and may make you money in the long term. Adding an entire new room will add square footage to your house and will potentially increase its value, depending on location and market conditions. Be careful about adding a room if you do not have a big lot. You do not want your house to be a laughable McMansion or a pink elephant in your neighborhood. Standing out for the wrong reasons will seldom will make you money during resale. If you are happy where you are and you like your neighbors, your school district,and your location, then a room addition could be a wise investment. Plan on spending $40,000 or more, as this is a major change to the structure of your house. You are going to require experts from all the construction trades and will need to ensure you acquire the correct permits for the process. However, depending on the type of home you have, you may be able to lower the cost. Modular homes are known for their flexible design capabilities, so make sure to take that into consideration when buying or remodeling your home. Whatever your addition choice is, ensure it is functional or run the risk of turning potential buyers off when you get ready to sell the property. If you do not want to make as big a change to your house, you can just take advantage of some existing space and create what is called a bump-out. It is a greatly scaled-down version of an addition. Bump-outs can add square footage to your kitchen or family room, or make a half bathroom into a full bathroom, they can even extend closets or create pantries. Bump-outs run off your existing roof line and extend your house out a bit to make a bigger room. 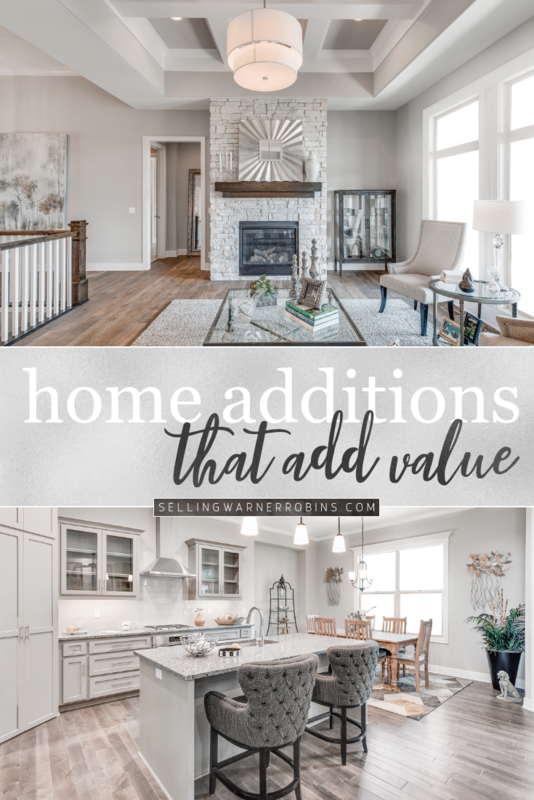 They are not cheap, but they are much less expensive than an addition, and you will end up with increased square footage and better use of the existing floor space. Ask your real estate agent what expense will yield the greatest return on your investment, and they will likely tell you to upgrade your kitchen. Even just a fresh coat of paint will liven it up. Take a closer look at your appliances. Are they dull and dingy and decades old? Talk to your agent before spending the money or visit new construction in your price point to see what is popular, but depending on the age and condition of your appliances, it might be wise to invest in all-new stainless steel. People will remember the clean and fresh look, seeing their reflection from your refrigerator and stove, and your kitchen dazzling in the light as they toured your home. If you have linoleum or some other outdated material on your countertops or flooring, consider investing in granite and tile. Granite countertops are extremely popular and in demand for new homebuyers. Granite is attractive, low maintenance, and it lasts virtually forever. Tile in the kitchen is both practical and beautiful. Choose earth tones from a variety of materials. Ceramic and porcelain are made from clay and are either glazed or unglazed. Glazed tiles will be more slippery when wet, but it is really a personal choice. You can also get tiles made from stone such as granite, slate, limestone and marble. These are going to cost a bit more, but will certainly increase the value of your kitchen, whether you stay put or sell. New cabinets will cost a lot of money, but could be a wise investment. Before replacing them, consider if you can simply refinish them. This will make them look and smell brand new, but you will not incur the expense of ripping down the old ones and installing new ones. Anything that adds flair to your kitchen will also increase its perceived value. Add a portable island, a series of wine racks or hanging pot holders. Things that save space or increase the use of your existing area will make your kitchen more desirable which could equate to a quicker closing for a higher sales price. Everyone loves having an attached deck, where they can have cookouts and enjoy the sunshine. Adding a deck to your house will increase its desirability and value, especially for consumers who like to entertain. You can expect to recoup a significant amount of your investment, depending on market conditions. As far as how much you will spend, that depends on the size of the deck, the materials used and how easy it is to attach to your house. Expect to spend no less than $1,200 and upward of $5,000, depending on how fancy a deck you need. Will you have stairs going to the lower level, built-in seating, landscaping? Will it be wood, synthetic material, or something else? Will you cover it? People do build decks themselves, but be realistic about your DIY skills before attempting to do so. This is not something you want to construct using on-the-job training. Your friends’ and families’ lives are depending on quality construction. Get recommendations from neighbors or friends, or seek assistance through a reputable construction company before trying to build anything that could cause bodily damage during construction or after created. Your garage is already a room. The structure is there and the electricity is wired. You may even have drywall and insulation already installed. The space is being taken up by your car and your junk, and not being used for anything else. You can take back this room and convert it into enjoyable living space. A remodel could increase your home’s value, but the inability to park may not be an attractive feature to a prospective buyer. If adding a carport is a viable option, it should be considered if you convert the entire garage space into living space. Your garage probably does not have heat. You may have to run new vents to it, and this may be something for which you want to enlist professional help. You could also avoid this cost by installing electric baseboard heating. As far as the design, that is entirely up to you. You could turn the space into a sports entertainment center, with televisions, a bar, a sound system and extra seating, decorated with sports memorabilia and paint it an exciting color. You could also make it a cozy sewing room or an art studio. If you replaced your kitchen cabinets, you could install the old ones here to store supplies. Or, you could go more traditional and add a family room, bedroom/bathroom, or even an office/study. You have a blank canvas so choose based on your needs. If you still want your car and your storage items to have a home, you could always just convert a corner of the garage. This might actually be of interest to buyers or investors and is worth considering. If you bought a home with only one bathroom, you have figured out why people want at least two. You will increase your home’s resale value and make it much more marketable if you add another bathroom. Even just another toilet will make your home more desirable than a house with only one. You will likely recoup whatever money you put into making this happen. The trick is, where do you put it? Your house was built with one bathroom, so you will have to find a place that will not look ridiculous with a bathroom attached, like your kitchen. You also have to take the existing plumbing into consideration. You want to be as close to the main line as possible. Otherwise, you will incur greater expense. Look for room under the stairs or closets that are out of the way. These convert well. Make sure you give yourself at least 18 square feet for a half bathroom. If you want a full bathroom and shower, you are going to need 30 square feet or more. A bathtub will take up even more space. Your house will determine what your options are, unless you are considering putting on an addition or bump-out to accomplish this. The cost of adding a bathroom will vary widely depending on many conditions, such as where you are putting it, how big it is and what type of fixtures you choose. Must-haves are going to cost you a lot of money. If you want to be frugal, you can look for sales and reduced rates for multiple item purchases. Invest in Energy Star rated windows and replace your old and drafty single-pane windows. You will spend quite a bit of money doing this, but you will recover up to $500 per year in energy costs. 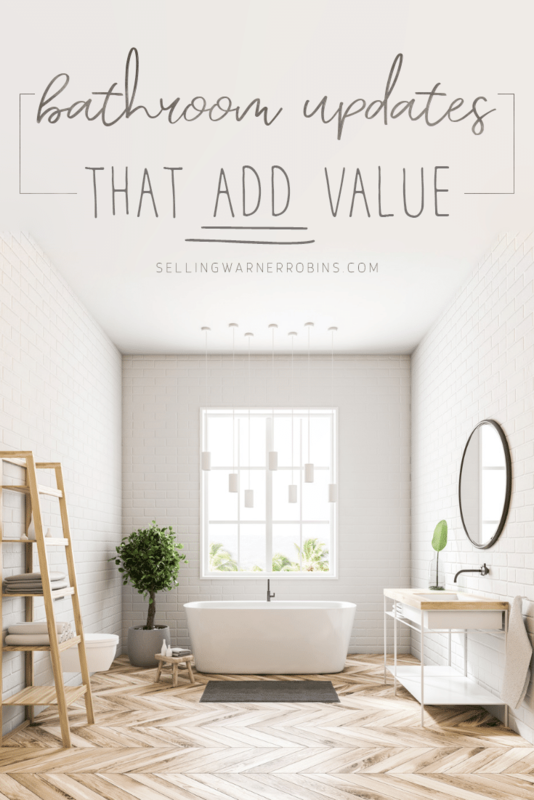 If you are looking to sell your home, this improvement will increase the value and make your home more marketable than those in your community that have not been upgraded. Check with your utility company to see if replacing your windows makes you eligible for an energy rebate check. You can also check with local and state government to see if you qualify for a green energy tax credit. The more you can save, the more you keep in your own pockets! It is hard to say how much money you will get back from a new color or a fresh coat of paint, but it does change things for the better. Your house will smell newer, look cleaner and generally be more desirable. When in doubt, go with more neutral colors to assure attractiveness to a wider range of buyers. Painting is something you can do yourself if you so desire, without incurring too much expense or risk. If you mess it up, a professional painter can fix it for you. If you want to be environmentally conscious, use low-VOC (volatile organic compounds) paint, which contains fewer dangerous chemicals and gases that can be harmful to humans and the environment. Painting your home will freshen it up and make it look new again. There are many ways you can improve your home and make your money work for you. In addition to remodeling and improvements, just keeping your home in good repair will retain and increase its value. Make sure your furnace and other appliances are in good working order. Clean the gutters on your roof and keep your yard trimmed and free of litter or debris. Fix broken lights or crumbling masonry. Whether you want to invest money to sell your house at a higher price or you just want to make your house a better home, spend your money wisely. There is no guarantee you will recoup your investment at the time of resale, but most improvements are worth the money when it makes your house a better home to live in. If you found this article on home additions you should consider helpful, please consider sharing it via social media so others can benefit from the information too.